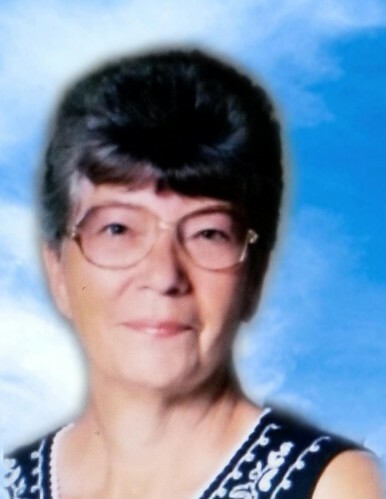 Obituary for Norma Ruth Smith | Jones Funeral Home, Inc.
Norma Ruth Jetton Smith, age 78 was born in Nevada County, Arkansas on October 31, 1939. Mrs. Smith was a former long time resident of Crossett, Arkansas for 55 years and moved to St. Joseph, LA with her daughter. She entered Heaven's gates on May 5, 2018 at The Oaks Care Center in Pineville, Louisiana where she had resided for the past 3 years. She was a mother, homemaker and a retiree of Safeway. Norma, or "Mamaw" to most, was an excellent cook and enjoyed preparing meals for her family and friends. She loved to garden and the outdoors. Over the years, she collected a large collection of angels. She loved "junking", road trips, and just being with family and friends. Norma Smith was preceded in death by her parents; Calvin and Ola Jetton; her husband of 54 years, Darwin Bee "Dee" Smith; two brothers, Burney Jetton and Leslie Jetton; one sister, Wanda Faye Lavender and one grandson, Brian Allen Smith. She is survived by one daughter, Donna Darlene Smith Vinson (Steven) of Pineville, LA; one son, Ronnie Bee Smith (Jenny) of Crossett, AR; two grandsons, Steven Blake Vinson (Summer) and Bradley Bee Smith; one granddaughter, Ashley Izora Smith; one great-grandson, Steven Brody Vinson; two great-granddaughters, Evelynn Blake Vinson and Aubry Rose Smith along with a host of other family members and friends. Graveside services will be 3:00PM on Thursday, May 10, 2018 at Crossroads Cemetery in Crossett, AR under the direction of Jones Funeral Home, Inc. A celebration of life will follow at Chen & Chen Restaurant.